You can call us travel-maniac, nature lover, wanderer but we love to call ourself - A team that lets you feel the beauty of nature the way you never felt before. A team that for sure will make you cherish every moment that you spent with us while exploring and enjoying this beautiful place on earth. Yes, we are for for you - we are CABinSIKKKIM.com We have the knowledge, expertise, vast experience and most importantly well tarined and well behaved tour guides / executives to make your trip a memorable, enjoyable and comfortable. Everyone says they are unique, and so we do. But we do justify how are we unique. Our uniqueness lies in everything we do – 1. Our drivers are not just drivers. They are your tour and road companions. They will guide you, serve you, entertain you and will take care of you. 4. 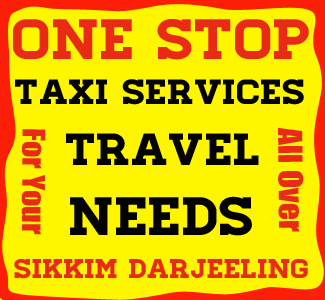 Our TAXIs are having both national and international calling facilities. They are pre-paid SIMs. It is simple – You need to pay the airtime you have used. These are our facilities to help you and not commercial. 5. We always welcome you with fresh waters and flowers. Still, if you need water, our TAXIs always has water to serve our customers. 6. Our uniqueness lies in the warmth of our reception. We are always at your service. 7. Our specialists offer you trips tailor-made as per your budget and time that suits you.